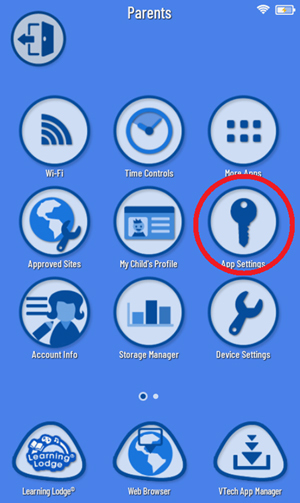 To access Parent Settings on your KidiBuzz™, touch the avatar in the upper left corner of your child's Home screen to make the Parents icon appear. Touch the Parents icon to enter Parent Settings. 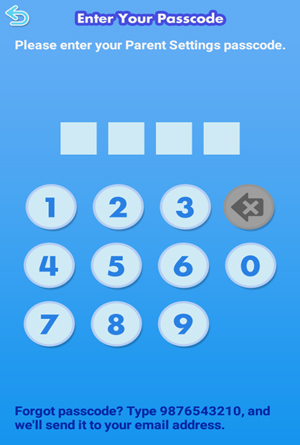 Enter the passcode you created when you set up your device. This will open the Parent Settings menu. Here's a quick overview of some of the key menu options. Time Controls - Use this to limit your child's total screen time or to make the device off limits at certain hours. 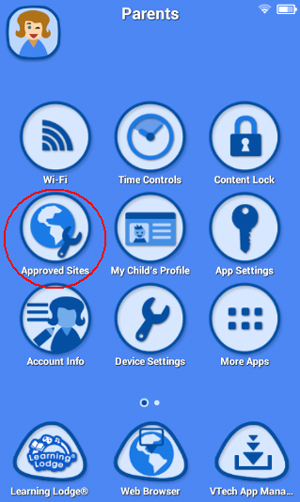 Approved Sites - With this option you can add or remove sites from the approved list of your child's web browser. 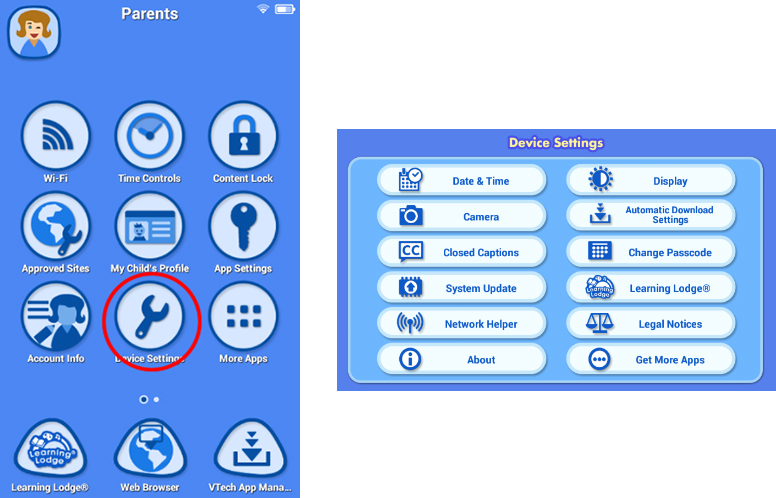 Device Settings - Select this option to open the Device Settings menu where you can set display options, change date/time settings, check for the latest firmware and control other device settings. You can also download the Amazon Appstore by selecting "Get More Apps" from the Device Settings menu. 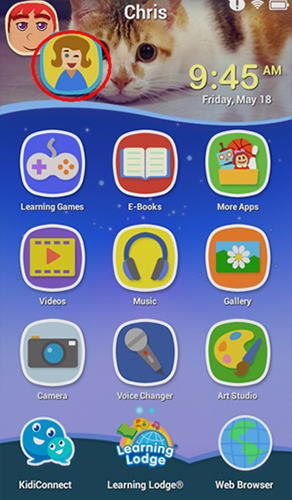 App Settings - Choose this option to make the apps you download from the Amazon Appstore available in your child's profile.